Hui Sheng Machinery Co., Ltd. 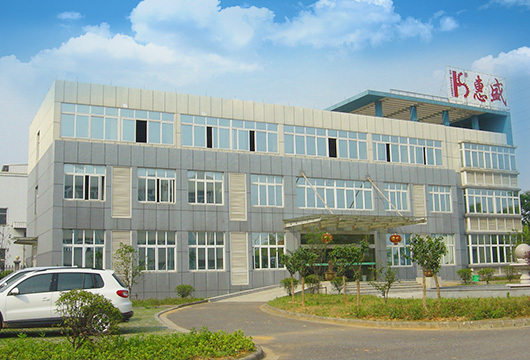 Founded in 1998, Huzhou Hui Sheng Machinery Co., Ltd. is located at the southern side of Taihu Lake. 150km from Shanghai and 85km from Hangzhou, it boasts an excellent geographical location. It specializes in the manufacturing and sales of all kinds of printing machines, as well as their spare parts. It has clear ownership and has established a series of management systems, as well as a couple of approaches in the fields of product design, research and development, production and after-sales service. It has a complete set of production, R&D and testing equipment as well as smooth marketing channels. It possesses a comparatively high reputation in the industry in terms of management level and the operation of business. With persistent efforts for years, and through scientific and technological innovation, the Company has led its own team to have developed the printing equipment of all kinds of the international advanced level, and successfully obtained 34 patents, including seven invention patents. In the production of the HS-8600P automatic flat screen printing equipment, Huzhou Hui Sheng Machinery Co., Ltd. adopts the design concept of being energy efficient and environmental friendly. It also adopts the imported high-precision servo motor drives, which are characterized with simple operation, convenient maintenance, long service life, small subsequent expenditure and easy cleaning. It adopts the high-quality AC servo motors and high-precision reduction boxes in its main drives, as well as the applied technology of the front and back dual drive and the control by electronic computers, thus effectively ensuring the high-precision operation and restoration of products.Its drive by a scrapper features stable operation and low noises. With the touch screen displaying in English & Chinese, it can monitor the completion of all kinds of movements of the scrappers; meanwhile, it can set the fault alarm system, and the route and speed of the scrappers freely during the operation of the machine, and it is very convenient to operate. The electric cabinet adopts the structure of ventilation at all sides to ensure the temperature inside the cabinet within the controllable scope. The high-precision servo motor drive and the PLC control assist to realize the intelligent and high-speed automation. It adopts the pneumatic structure in the washing equipment in the conduction band. The net water surface elevation can adjust the strength of scrapping as per the characteristics of the sizing agents, and use water in a cycling manner, thus effectively saving the water sources and enhancing the printing quality. The Company starts with the energy saving and emission reduction, and has launched its new product HSR-9600P tilting circular screen printer.The improved cloth feeding device is equipped with the cloth tightening and feeding roller which features the tension adjustment, thus ensuring that the cloth can be stuck to the printing desk under the smooth and uniformed condition. It is suitable for woven fabrics, knitted cloth and non-woven fabric, etc.The Company has innovatively designed the tilting printing table. The printing plywood tilts 13 degrees, making it convenient to examine the printing quality at the work side; meanwhile, it has fully considered the stability in the operation of the printing conduction band, thus ensuring that the conduction band will not go astray and greatly enhancing the printing quality. It has adopted the permanent magnet structure in the magnetic table for printing, thus offering stable magnetic force and low-energy consumption.The printing machine is set with the automatic net-washing equipment. After the printing is over, such parts as web cloth cylinders, scrappers and magnetic bars can be cleaned automatically on the machine. Upon cleaning of the net, the sizing agents can be directly replaced for printing again. It is suitable for one pattern in multi-colors and printing in a small batch, thus enhancing the efficiency of printing. Huzhou Hui Sheng Machinery Co., Ltd. attached high importance to the independent innovation. It boasts strong technological foundation and rich development, production and management experience. At present, it has got a couple of invention patents. It has established the standard operation system in the fields of production, quality, staff, safety and equipment. The innovation of each product has been supported by the efforts its technical team and management team which are superior to the international level. With excellent quality Hui Sheng creates good products, and does its best to serve the clients. On the path of the future development, Hui Sheng Machinery will engage in innovation and development, sincere operation, and strive to become a main force in the research, development and manufacturing of the world’s first-rate printing machines.